Jed Mullens, the owner of Jed Mullens Law, received a B.A. in English from Connecticut College, a J.D. from the University of Arizona College of Law, and an LL.M. in Trade Regulation from the New York University School of Law. Before starting his own law firm, Jed worked for over 5 years as in-house counsel for 4Kids Entertainment, Inc. — a media/entertainment company headquartered in New York. Jed’s work at 4Kids primarily focused on brand and content licensing, merchandise and promotional licensing, broadcast licensing, new media transactions, technology licensing and Internet-related transactions. Before working at 4Kids, Jed worked for law firms in New York and Silicon Valley where he specialized in intellectual property law, technology transactions and counseling, and commercial transactions and counseling. Jed’s work prior to 4Kids was performed on behalf of clients of all sizes (from technology start-up to Fortune 100 investment bank) and included licensors, licensees, developers and service providers. 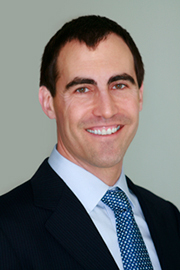 Jed is licensed to practice law in New York, California, and Colorado. He lives in Brooklyn with his wife, Molly, and their two young children.